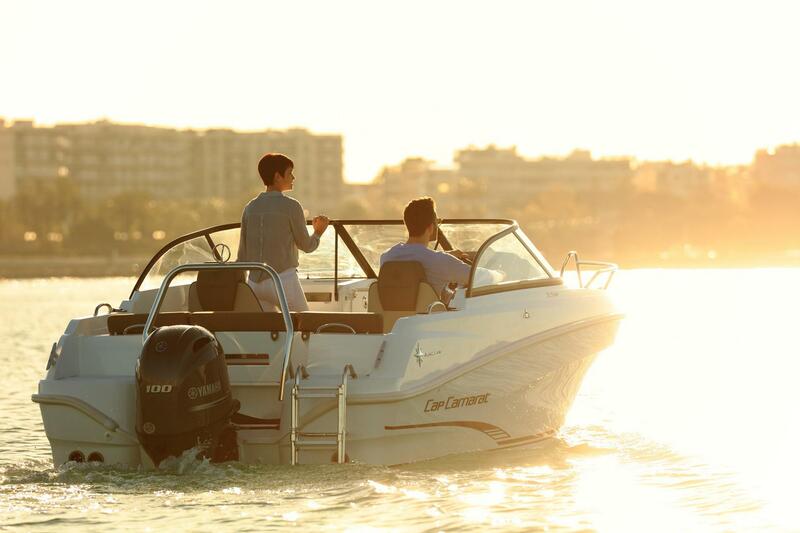 The outings with family or friends will be particularly relaxing with this new Cap Camarat! 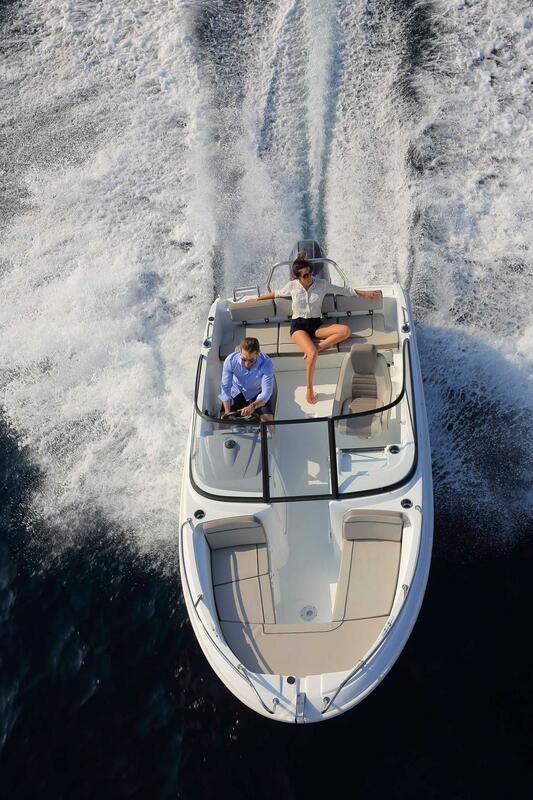 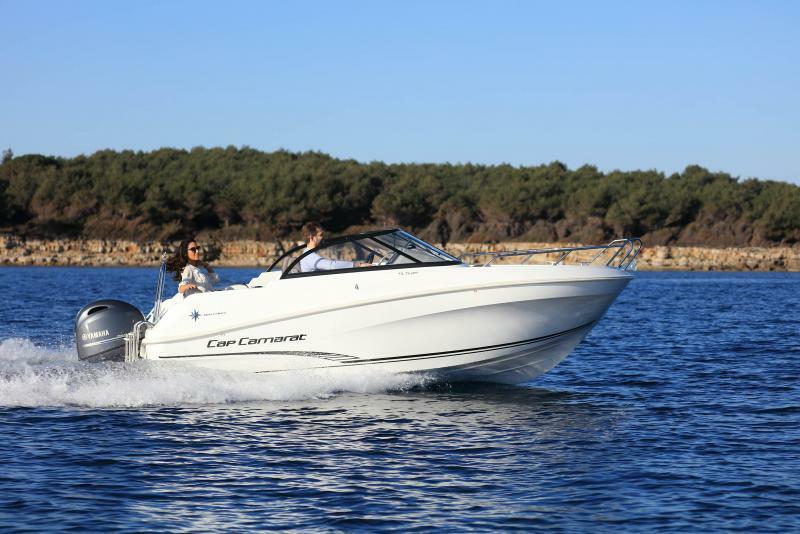 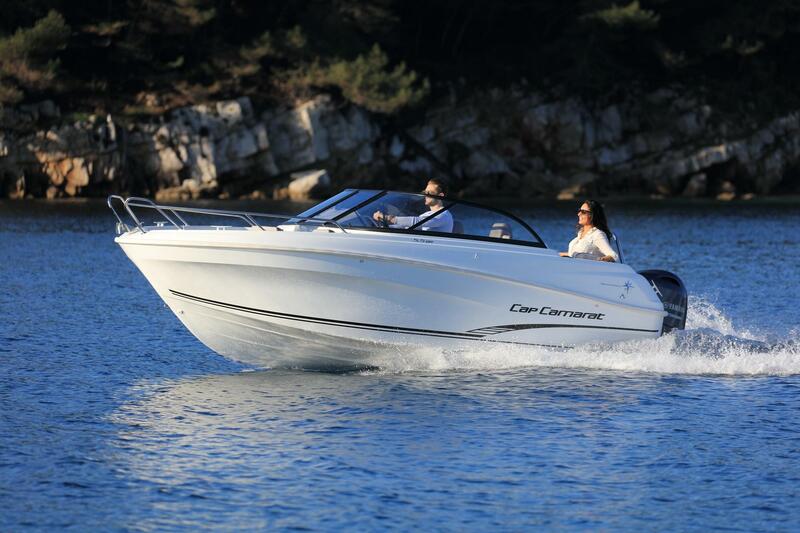 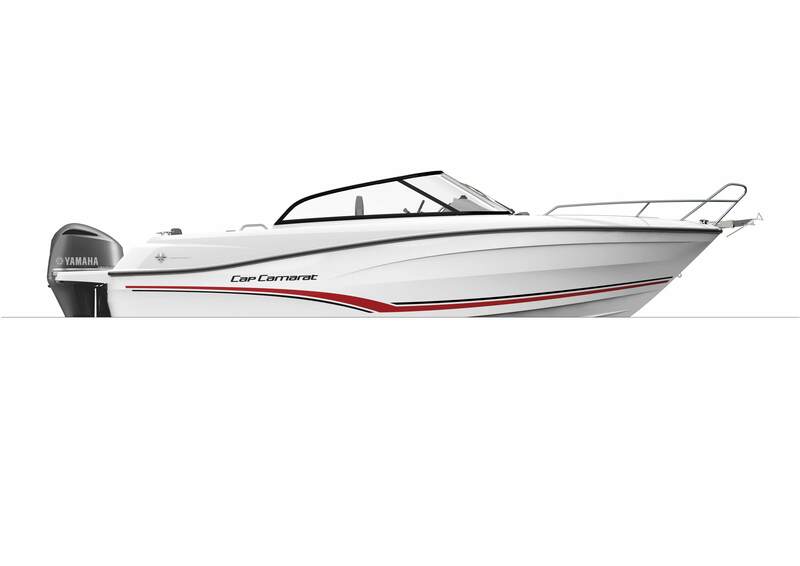 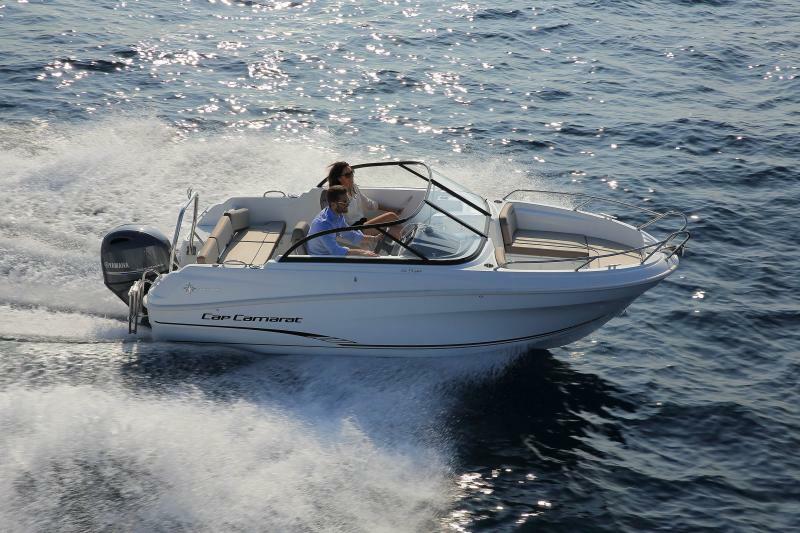 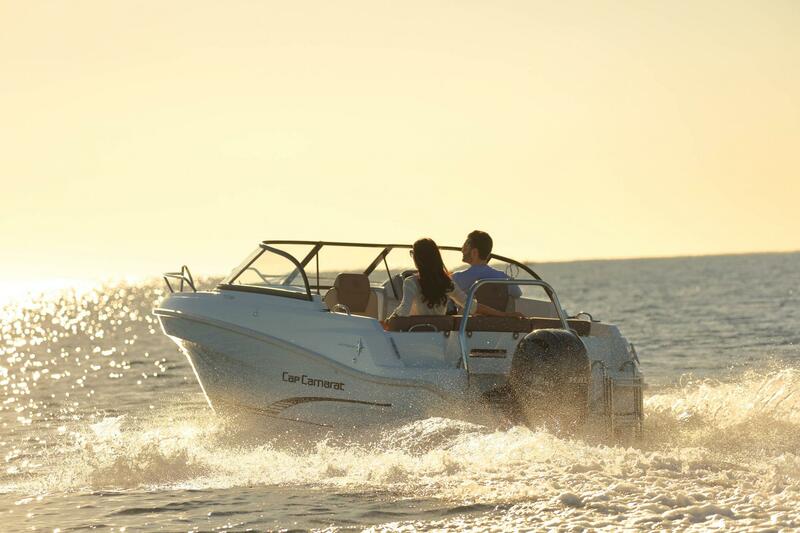 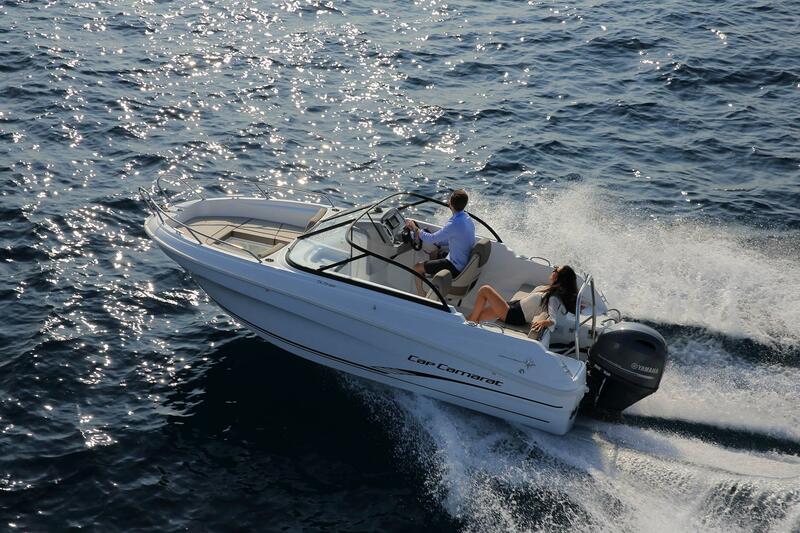 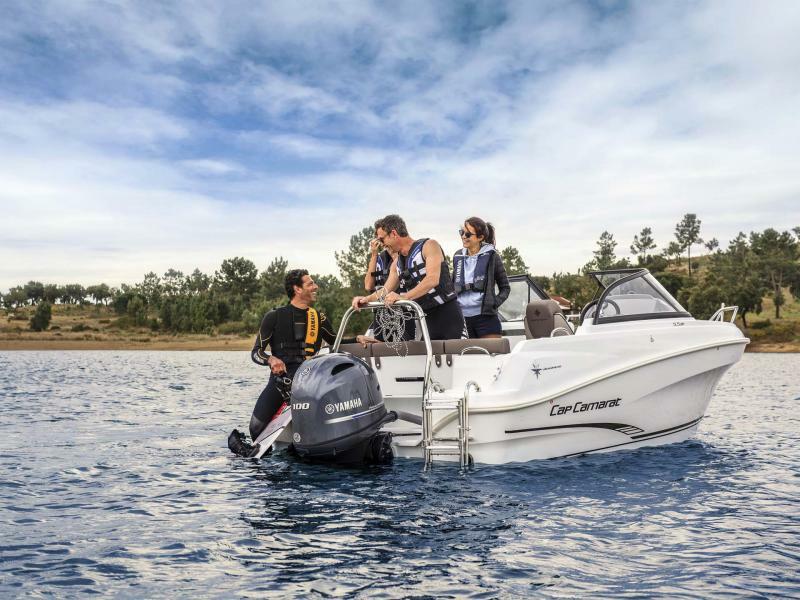 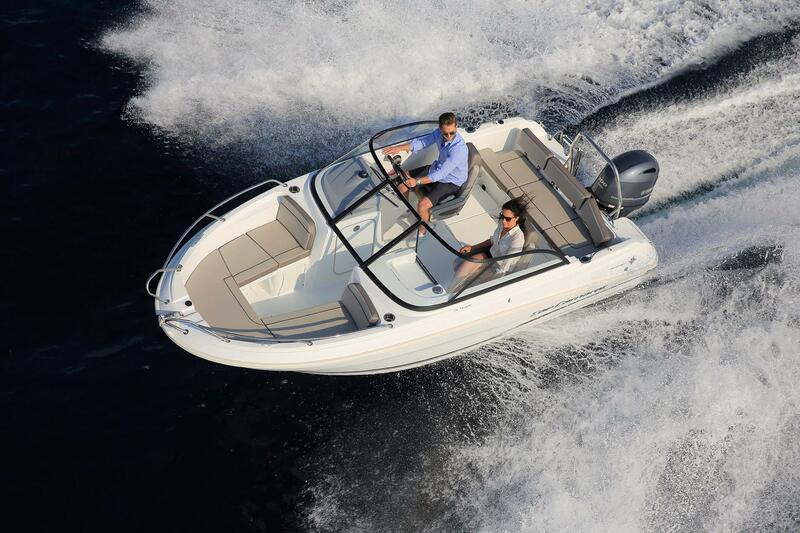 The Cap Camarat 5.5 BR benefits from her Cap Camarat 5.5 hull, while her powerful, fuel-efficient engine ensures enhanced performance and exemplary handling at sea. 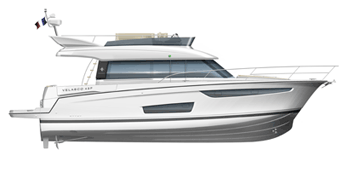 Offering many attributes of the Cap Camarat 6.5 BR, the new Cap Camarat 5.5 BR also features a central passageway, facilitating movement between the forward and aft cockpit. Safety at sea is assured by a very protective wrap-around windscreen. 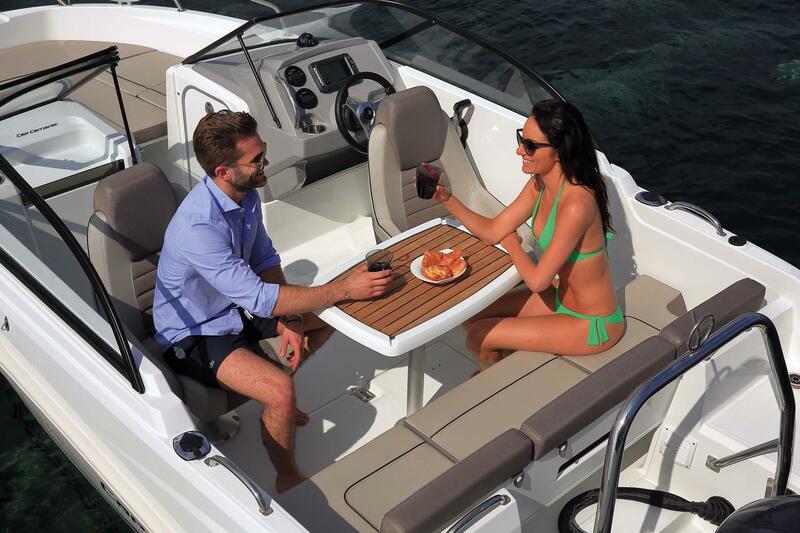 Driving while in a seated position, well sheltered, or standing, opens up new options for comfortable cruising. 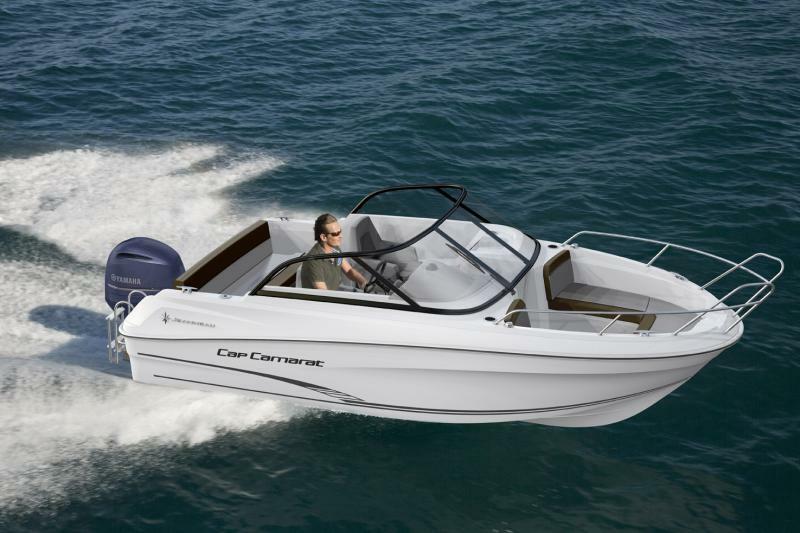 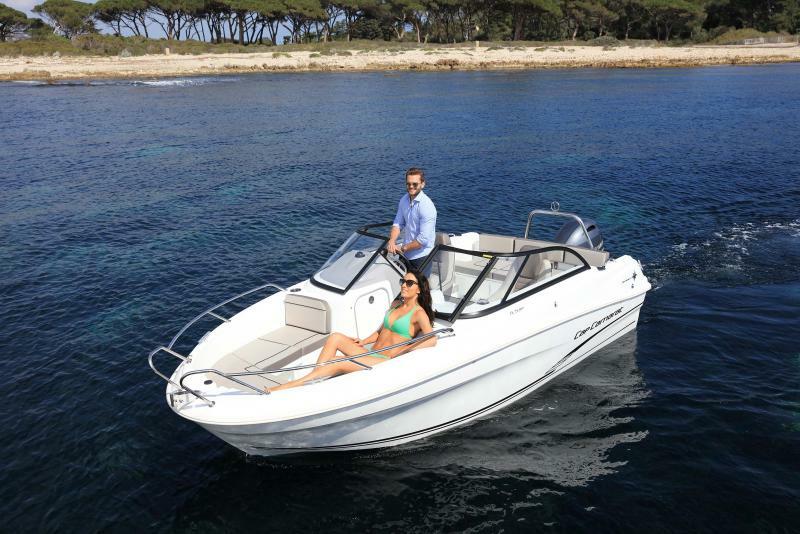 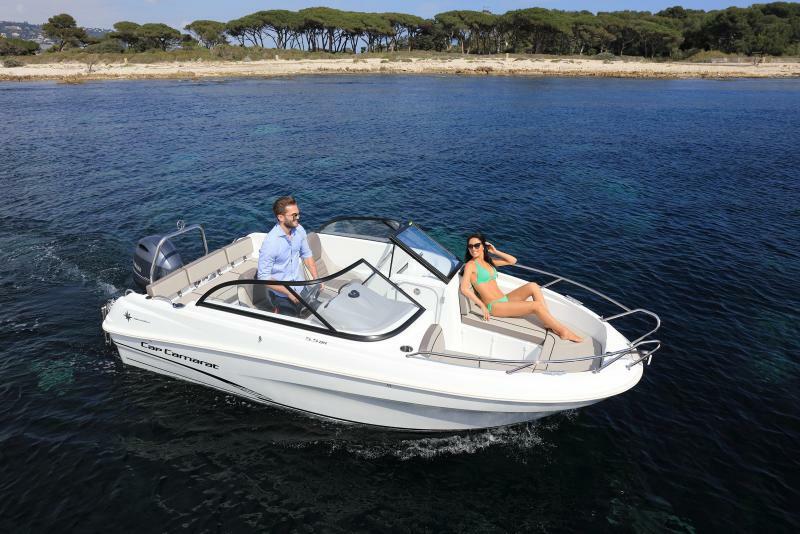 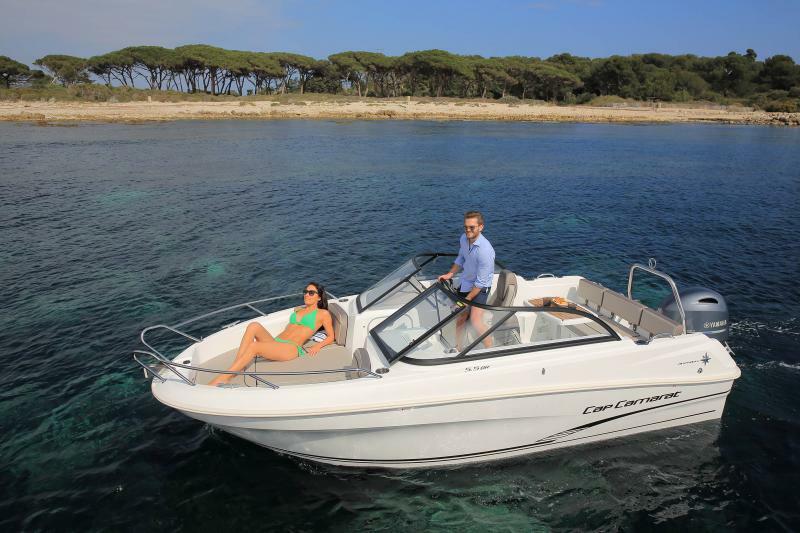 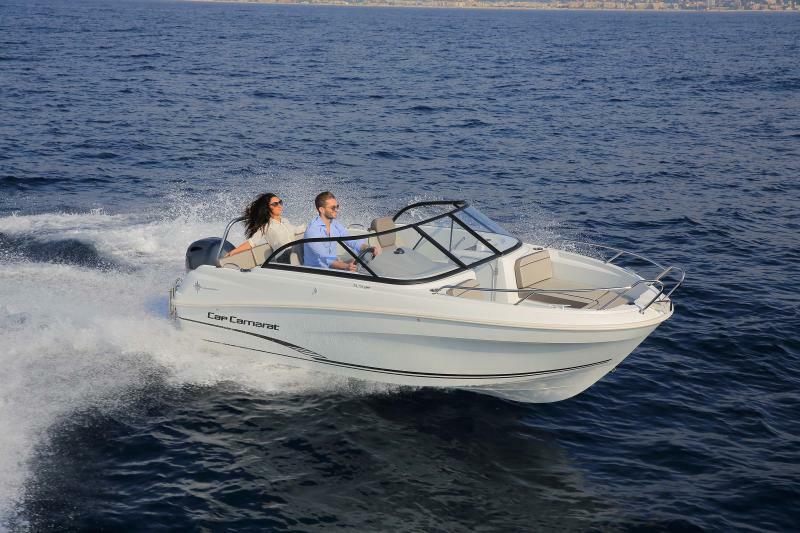 Step off the bow of the boat from the wide central passageway, transform the two cockpits into a sundeck, or deploy the bimini from its dedicated storage location: each of these details contribute to making the Cap Camarat 5.5 BR the new reference in comfortable cruising. 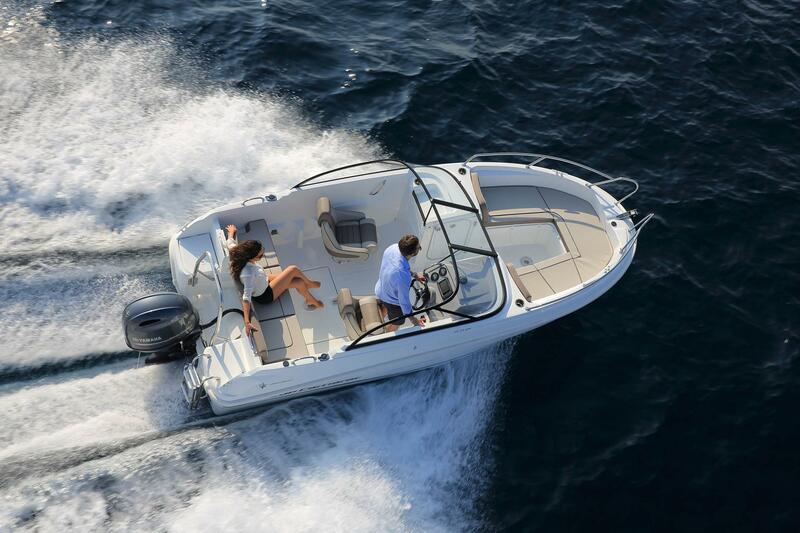 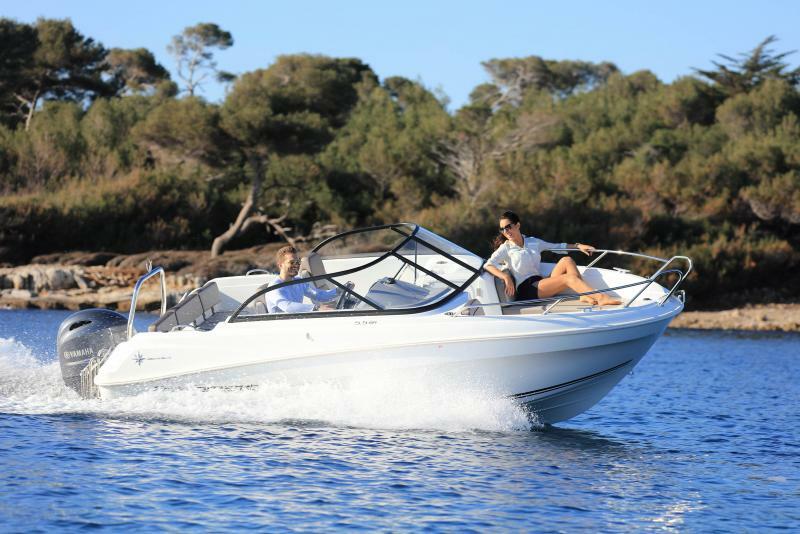 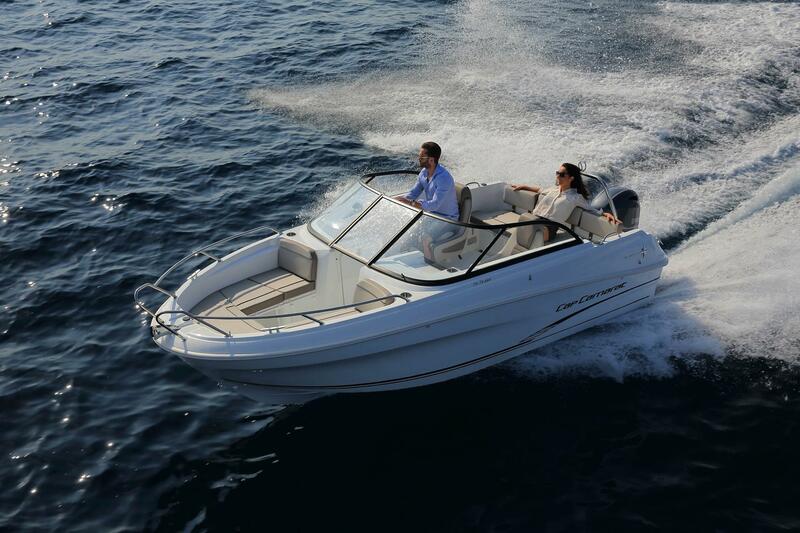 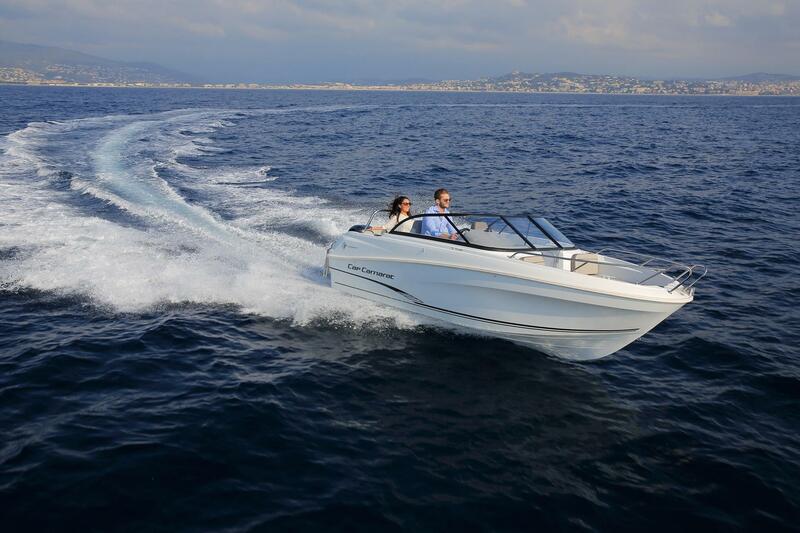 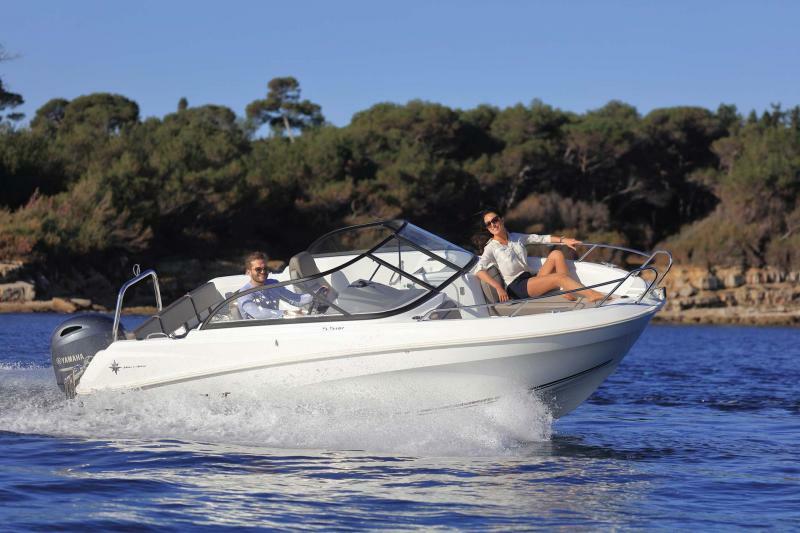 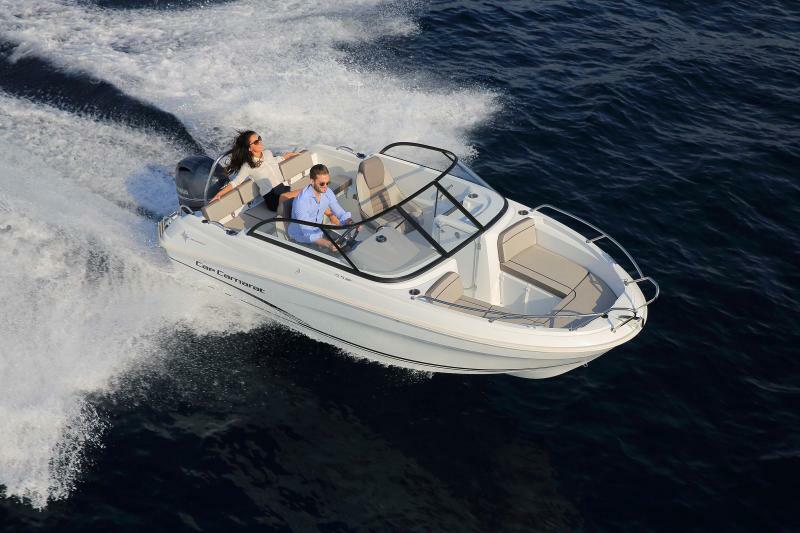 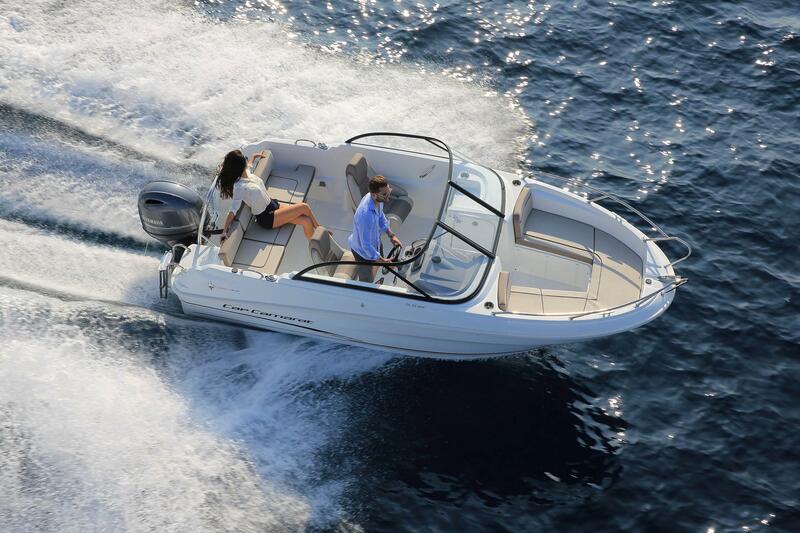 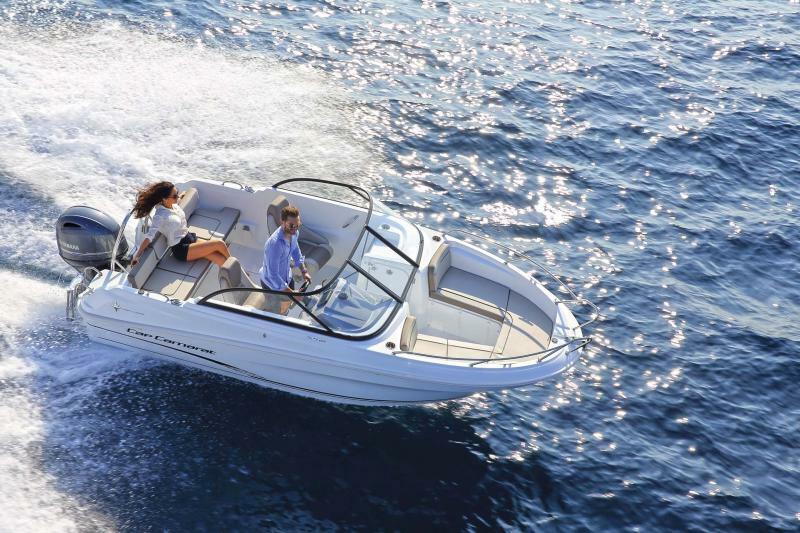 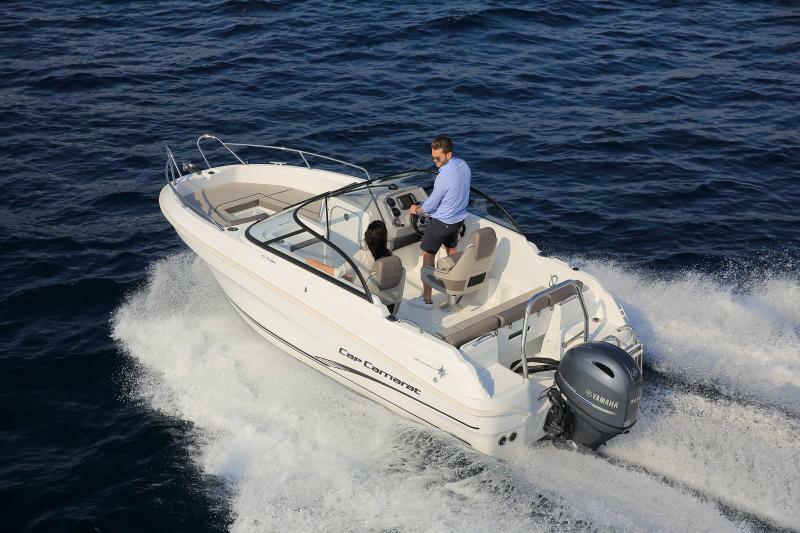 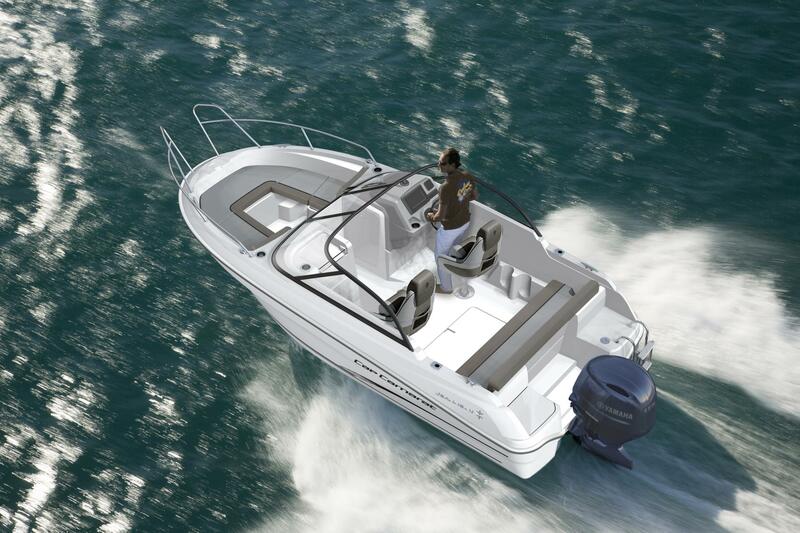 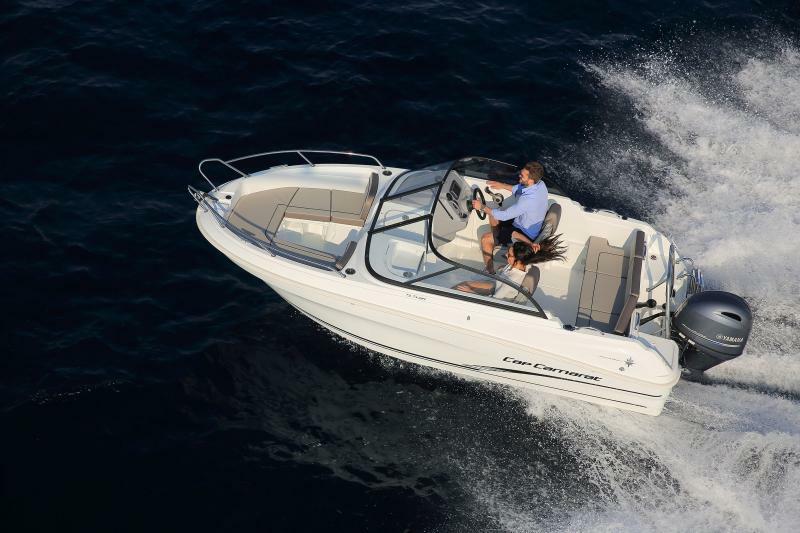 The wide passageway from the forward to the aft cockpit will appeal to those who love fishing. 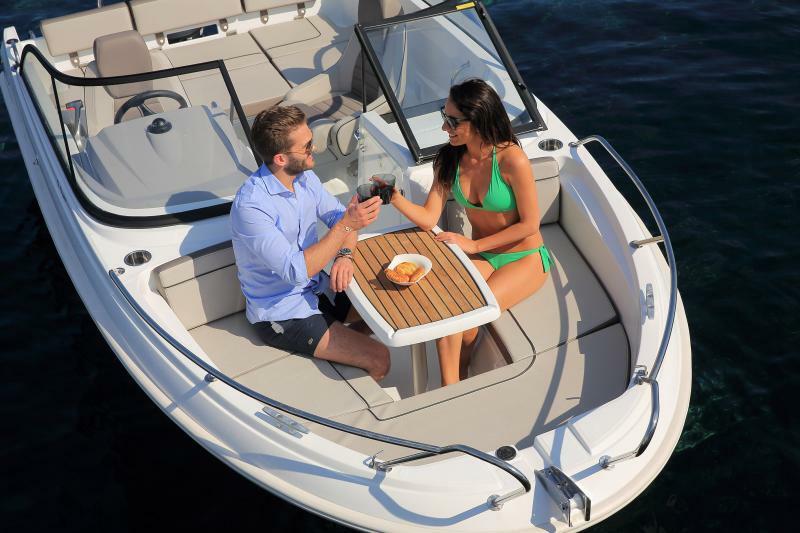 Multiple sundecks make outings with family or friends particularly relaxing. 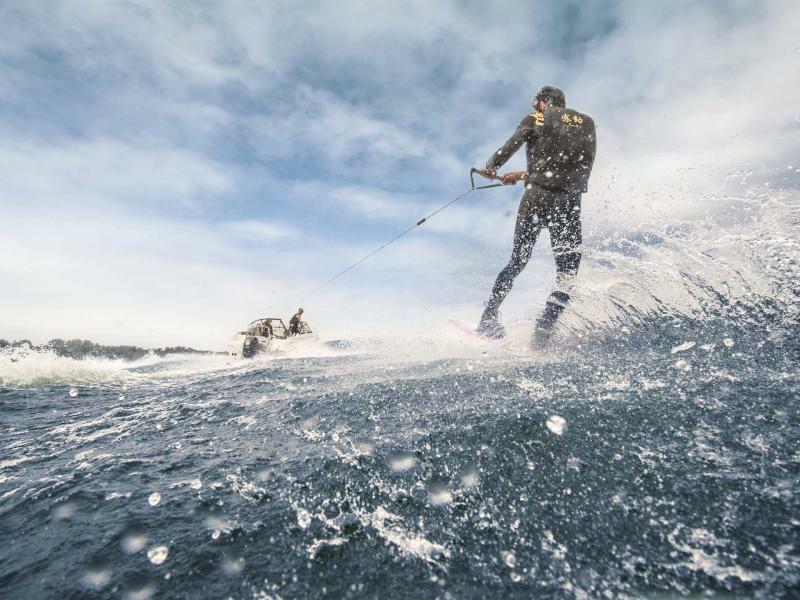 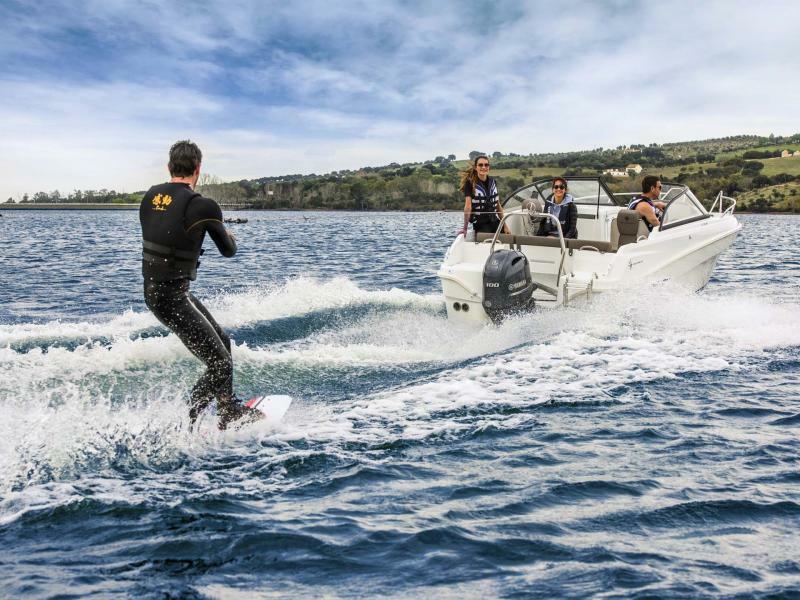 The optional wakeboard tower will thrill fans of wakeboarding and other water sports.